The installation of RTX drivers for ADDI-DATA PC boards is fast and easy. 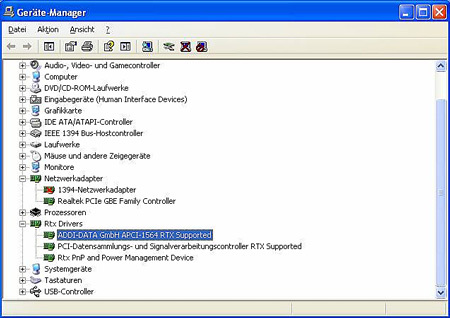 Make sure that the RTX driver of the ADDI-DATA board is installed in the device manager. 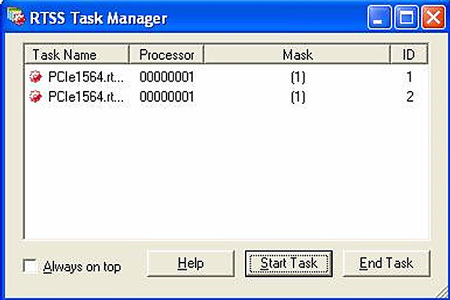 To activate the real-time process, click on the RTSS driver (specific for each board) or use the RTSS task manager to select the board that you want to use. 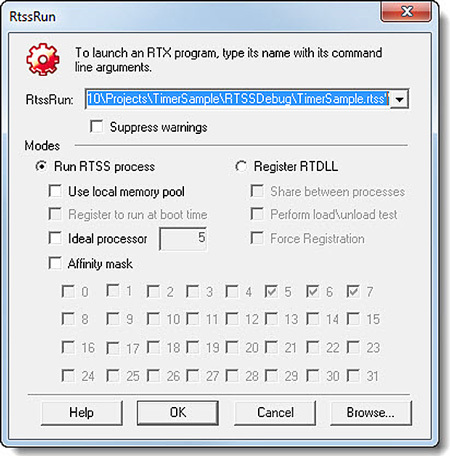 If you are using RtssRun, you have the option to configure your application before the start. You can choose between RTSS and RTDLL. 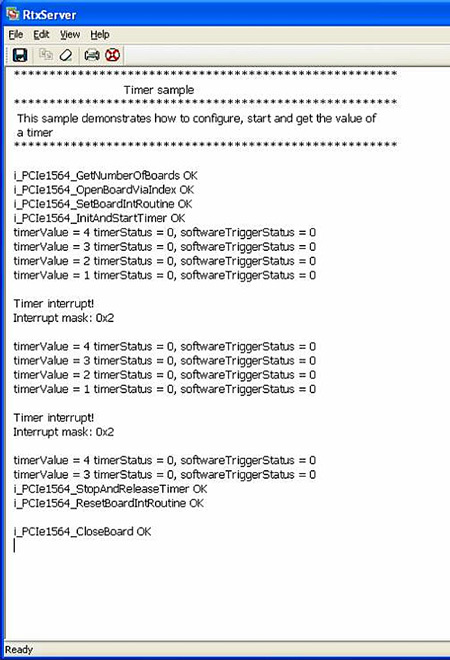 You can use the RTX samples delivered with our boards to configure your application, they include the source code on which your programming is based.